When I was growing up, I thought all our American/Canadian/American ancestors were Loyalists, but my research has discovered most just went to Canada in the 1760’s for an opportunity. These strict Puritans were overwhelmed when the Loyalists arrived in 1783. See my post New England Planters in New Brunswick. While we had 15 ancestral families who immigrated to and from Canada, Nathaniel and Jonathan PARKS were our only direct ancestors who were actually resettled Loyalists. There were several cousin and in-law Loyalists, however. Jonathan’s Uncle Peter even had his 3 Durham Boats, 1 Skiff, a chain and crowbar, 16 setting pole irons, 8 pair of oars, pots, axes, chest etc. confiscated in December 1776 and maybe used by Washington’s to cross the Delaware on Christmas night. Loyalists were American colonists who remained loyal to Great Britain (and the British monarchy) during the Revolutionary War. At the time they were often called Tories, Royalists, or King’s Men. They were opposed by the Patriots, those who supported the revolution. When their cause was defeated, about 20% of the Loyalists fled to other parts of the British Empire, in Britain or elsewhere in British North America, especially Ontario and New Brunswick, where they were called United Empire Loyalists. Most were compensated with 200 acres of Canadian land or British cash distributed through formal claims procedures. Historians‘ best estimates put the proportion of adult white male loyalists somewhere between 15 and 20 percent. Approximately half the colonists of European ancestry tried to avoid involvement in the struggle — some of them deliberate pacifists, others recent immigrants, and many more simple apolitical folk. The patriots received active support from perhaps 40 to 45 percent of the white populace, and at most no more than a bare majority. The Loyalists rarely attempted any political organization. They were often passive unless regular British army units were in the area. The British, however, assumed a highly activist Loyalist community was ready to mobilize and planned much of their strategy around raising Loyalist regiments. 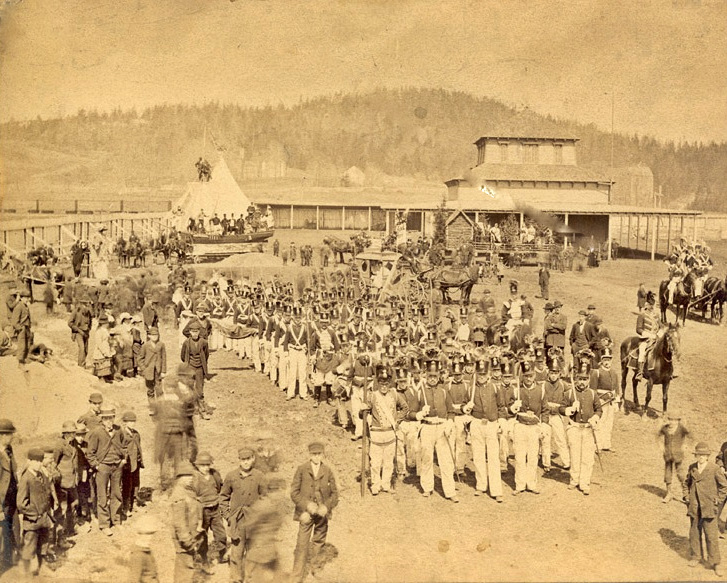 The British provincial line, consisting of Americans enlisted on a regular army status, enrolled 19,000 loyalists (50 units and 312 companies). Another 10,000 served in loyalist militia or “associations.” The maximum strength of the Loyalist provincial line was 9,700 in December 1780 . In all about 50,000 at one time or another were soldiers or militia in British forces, including 15,000 from the main Loyalist stronghold of New York. During and following the end of the American Revolutionary War in 1783, Loyalists (especially soldiers and former officials) could choose evacuation. Loyalists whose roots were not yet deeply embedded in the New World were more likely to leave; older people who had familial bonds and had acquired friends, property, and a degree of social respectability were more likely to remain in the US. Approximately 10 to 15 % left (about 62,000 white Loyalists, or about 2 % of the total US population of 3 million in 1783). Many of these later emigrants were motivated by the desire to take advantage of the British government’s offer of free land, but many also were disillusioned by the continuing hostility to Tories and eventually decided to leave the new Republic. About 46,000 went to British North America. Of these 34,000 went to Nova Scotia [which included New Brunswick at the time], 2,000 to Prince Edward Island and 10,000 to Ontario. 7,000 went to Great Britain and 9,000 to the Bahamas and British colonies in the Caribbean. 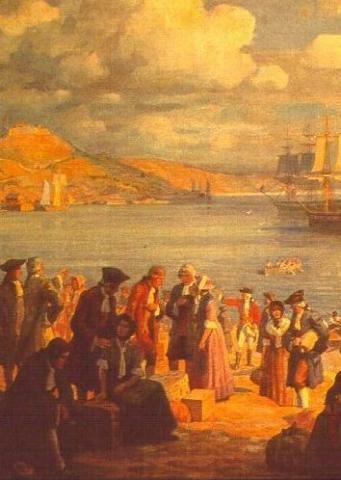 The 34,000 who went to Nova Scotia, where they were not well received by the residents who were mostly descendants of New Englanders settled there between the Acadian expulsion (1755-1763) and the Revolution. 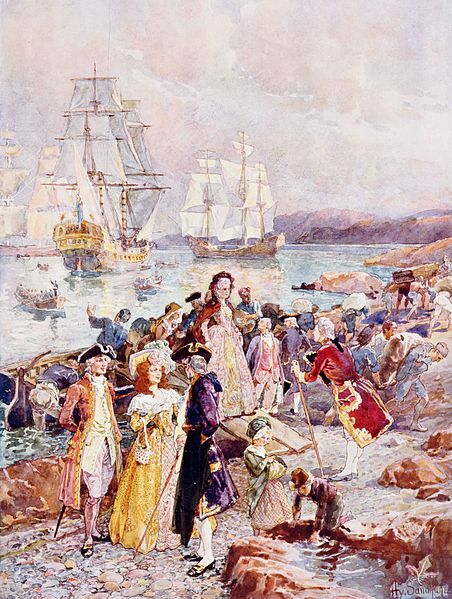 In 1784, the colony of New Brunswick was separated from Nova Scotia for the 14,000 loyalists who had settled in those parts. With the arrival of the Loyalist refugees in Parrtown (Saint John) in 1783, the need to politically organize the territory became acute. The newly arrived Loyalists felt no allegiance to Halifax and wanted to separate from Nova Scotia to isolate themselves from what they felt to be democratic and republican influences existing in that city. On May 18, 1785 the two towns of Carleton and Parrtown amalgamated to form the City of Saint John – Canada’s first incorporated city. They felt that the government of Nova Scotia represented a Yankee population which had been sympathetic to the American Revolutionary movement, and which disparaged the intensely anti-American, anti-republican attitudes of the Loyalists. “They [the loyalists],” Colonel Thomas Dundas wrote from Saint John, New Brunswick, Dec 28, 1786, “have experienced every possible injury from the old inhabitants of Nova Scotia, who are even more disaffected towards the British Government than any of the new States ever were. This makes me much doubt their remaining long dependent. These views undoubtedly were exaggerated but there was no love lost between the Loyalists and the Halifax establishment and the feelings of the newly arrived Loyalists helped to sow the seeds for partition of the colony. The British administrators of the time, for their part, felt that the colonial capital (Halifax) was too distant from the developing territories to the west of the Isthmus of Chignecto to allow for proper governance and that the colony of Nova Scotia therefore should be split. As a result, the colony of New Brunswick was officially created with Sir Thomas Carleton the first governor on Aug 16, 1784. New Brunswick was named in honour of the British monarch, King George III, who was descended from the House of Brunswick (Haus Braunschweig in German, derived from the city of Braunschweig, now Lower Saxony). Fredericton, the capital city, was likewise named for George III’s second son, Prince Frederick Augustus, Duke of York. The choice of Fredericton (the former Fort Anne) as the colonial capital shocked and dismayed the residents of the larger Parrtown (today’s Saint John). The reason given was because Fredericton’s inland location meant it was less prone to enemy (i.e. American) attack. Saint John did, however, become Canada’s first incorporated city and for a long time was one of the dominant communities in British North America. Saint John also found itself home to the American traitor Benedict Arnold; whose questionable local business dealings meant that the local Loyalists also came to despise him. Peter’s father Jean PERLIER III was born 5 Sep 1703 in Staten Island, New York. His baptism in the French (Huguenot) Church in New York City on 19 Sep 1703. His father and grandmother were Protestant refugees from La Treamblade, Charante, France. He married Abagail JONES on 13 Jun 1734 in Edison, Bergen, New Jersey. He moved to the Jersey settlement in North Carolina between 1750 and 1760 and became John Purlear. Possibly, he married Ann [__?__] and had seven more children. John died in 1771 in Davidson North Carolina. 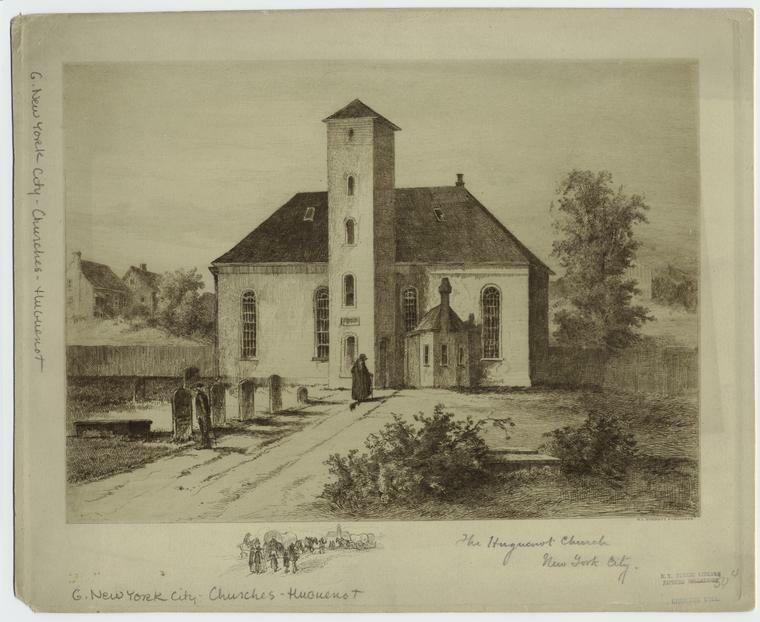 Jean’s son Peter Parlee Sr. was baptized “Pieter Parliez” 13 Jun 1736 in St. Andrews Church, Fresh Kill, Staten Island, NY. Peter was a Loyalist and died in 1821 in Sussex Vale, Kings County, New Brunswick. Parlee Brook Ice Falls near Sussex, New Brunswick. — Peter left dozens of grandchildren in the area. Parlee Brook is named for the family. Peter had five boys and at least 45 Parlee grandchildren, so they were able to found the hamlet of Parlee Brook all on their own. 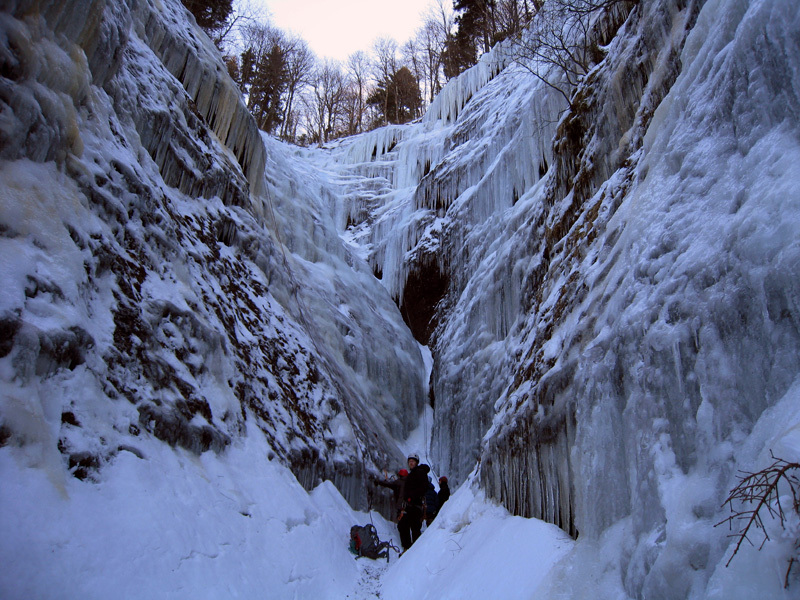 Parlee Brook is one of the ice climbing meccas in New Brunswick. Nestled in a hidden canyon, lies several (12) ice lines ranging from WI 2 to 4+. The ice begins to form around mid December. More pictures of ice climbing at Parlee Brook. Directions: Make your way to Sussex, then to Waterford (follow the blue signs to the Poley Mountain ski area). Before you reach the ski hill, turn right onto the Parlee Brook Road. The road is paved but becomes dirt. Once you see “The Abbey” take the road before it called Arnold’s Hollow Road. The province maintains this road but it can get pretty rough or washed-out near the bottom. Head up the hill, then down the hill and park opposite the camp. Walk for about 5 minutes until you come to an area on the left that has been logged. Go past a very “burly” spruce tree on your left (see pics) and look for a very small stream that crosses the road. Turn left up this stream; it will lead you into the amphitheatre. Peter’s second wife Lydia Robbins was born in 1735 in Amwell, Hunterdon, New Jersey. Her parents were John Robbins and Eleanor [__?__]. 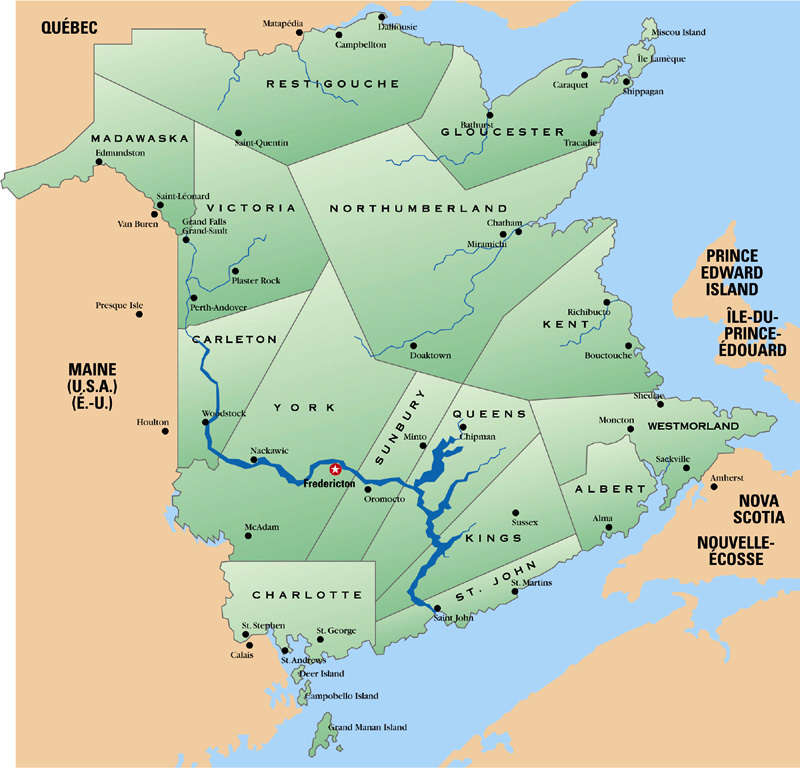 Lydia died 21 Mar 1820 in Sussex Vale, Kings, New Brunswick, Canada John Robbins’ farm was an original land grant to the Robbins family from the descendants of William Penn. It is now know as “Robbins’ Nest Farm.” John and Eleanor’s children were: John Jr., Cornelius, Job, Anna, Mary, Elizabeth, Hannah, Jane, Rachel, Lydia and Catherene. Peter met and married Lydia Robbins in Amwell Township, Hunterdon, New Jersey, the same place Elizabeth met Nathaniel PARKS, as the Robbins family lived there also. He is located in Durham Township, Bucks Co., PA before the American Revolution. His name also appears on several Muster Rolls for the 2nd New Jersey Volunteers, an Artillery Battalion. At the close of the War, his land was confiscated and he resettled in Sussex, New Brunswick, after being captured by American forces at least twice. Peter was married twice, but his first wife’s name is not known. His second marriage was to Lydia Robbins (married between 1764 and 1774). Peter was a British Loyalist. By 1740, Pennsylvania had become the nation’s first melting pot. The 1775 tax records show Peter owned a large farm of 164 acres in Durham Township, Bucks County, Pennsylvania, which was directly across the Delaware River from Kingwood Township, Hunterdon County New Jersey, where his sister Elizabeth lived with her husband, another Loyalist who relocated to New Brunswick Nathaniel PARKS. Nathaniel owned land in both Hunterdon County NJ and in Bucks County, Pennsylvania. ” Peter Parlier, late of Bucks County in the province of Pennsylvania, but now of York County in the Province of New Brunswick, begs leave humbly to represent, that at the commencement of the unhappy dissensions he was possessed of a real estate for which he had honestly paid and expended in improvements the sum of three hundred pounds Pennsylvania currency. And that he also possessed various other property as enumerated in the annexed schedule. That your Memorialist in consequence of his loyalty to his Sovereign and attachment to the British Goverment, has suffered a loss of all the said property by its being taken and destroyed or confiscated and sold by the Americans. That your Memorialist joined the British Army in April 1777 after suffering grevious persecutions and abuses. He immediately enlisted as a private solider in the 2nd Battalion of the New Jersey Volunteers commanded by Lieut. Col. Allen, in which batttalion he continued to serve until the same was disbanded. That in April 1779 he was employed in the recruiting service and was taken prisoner and robbed of forty pounds. That in 1781 he was taken prisoner again and confined three months and was at the expense of at least thirty pounds. That your Memorialist exerted himself to the best of his ability in the King’s service and was frequently employed in dangerous and arduous services, as he can make appear. 8 pair of oars, pots, axes, chest etc. The Durham boat was a large wooden boat first produced by the Durham Boat Company of Durham, Pennsylvania, starting in 1750. They were designed by company owner Robert Durham to navigate the Delaware River and thus transport the products produced by the Durham Forges and Durham Mills to Trenton, New Jersey and Philadelphia, Pennsylvania. 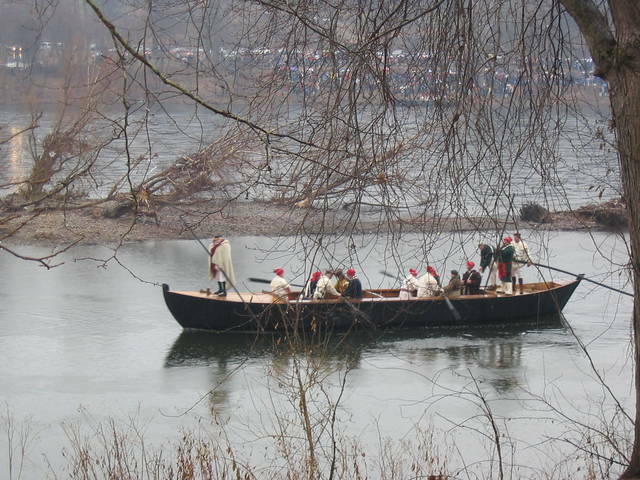 From about 1803 – 1820, a larger version of the Durham boat was crucial to operations on the waterway connecting the Hudson River to Lake Ontario via the Mohawk River. They were flatbottomed boats – provided with keels – with high vertical side which ran parallel to each other up to a point 12 to 14 feet from the boat’s ends, where they then tapered. The boats were constructed of 1.25-inch thick planks and measured up to 60 feet long by 8 feet wide by 42 inches deep. They displaced a draft of 3.5 inches when light and 28 inches when fully loaded. Since both ends were tapered, either end could serve as the bow of the boat since the heavy steering gear, called a “sweep.” could be shifted to either end. As a result, the boat could go in either direction depending on the placement of the steering sweep and the movement of the poles or oars. They were designed to be able to carry a maximum load of 17 tons while traveling downstream and two tons while traveling upstream. Thus they could carry 150 barrels of flour or 600 bushels of corn. It took three or four men, plus a steersman, to operate the boats. Moving downstream they used 12-foot to 18-foot long “setting poles” mainly for steering and when moving upstream they used these poles to push the boats upriver. The crew walked back and forth on “walking boards” built into the sides of the boats. Some were later fitted for the use of oars. 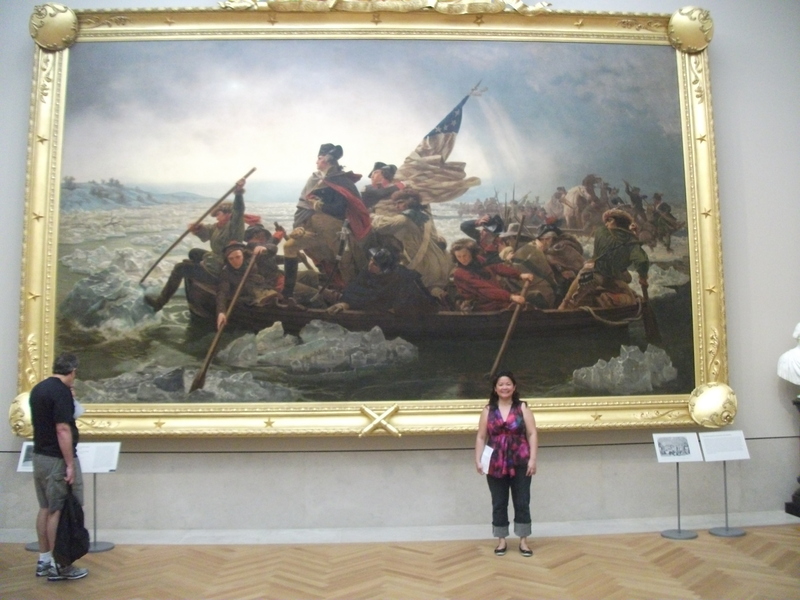 Socorro at the New York Metropolitan Museum of Art — May 29, 2012 This is the second version that Leutze painted. The first version was destroyed in the bombing of Bremen in World War II. Cornelius Parlier and Peter Parlier Jr.
Peter stated that he was on actual service with the King’s Army until October 24 1783 and after that he resided in the Province of New Brunswick. Records show that his property in Bucks County Pa. was sold at public auction the 28th day of June 1780, for the sum of 6600 pounds. The New Jersey 2nd Battalion served as artillery men. The inception of the corps can be traced to its commander, Lieutenant Colonel John Morris , joining the refugees from Monmouth County on the first arrival of the British fleet off New York in late June of 1776. Morris, a half-pay lieutenant of the 47th Regiment of Foot who had previous military service, convinced Brigadier General Cortlandt Skinner and the British that he could raise a battalion, and therefore declined serving under Elisha Lawrence. With the British entry into New Jersey in late November of 1776, his plans commenced. Others were Loyalists from the lower counties of New Jersey on the Delaware, while a whole company under Captain Donald Campbell was added from Major William Stark’s corps of New Hampshire Volunteers. Despite the name, this company had been raised in Philadelphia, being added to the NJV in January of 1778. They formed a part of the army under Lt. 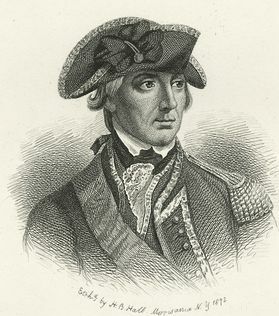 Colonel Charles Mawhood that located and destroyed two militia outposts at Quintin’s and Hancock’s Bridges in South Jersey. Some of the men were given to the different British brigades to help serve the battalion guns attached to them. They were augmented later in the spring by the rest of the battalion from New York, minus Lieut. Colonel Morris who was in ill health. The past year’s training came into great use, as the artillery was engaged heavily throughout the contest. An indication of the fierceness of the fighting and their forward role in it is their loss of four men killed serving the guns while the Royal Artillery lost none. The Battle of Monmouth would prove the last time they would fight with the entire battalion present. With no other duties to attend to, the officers’ chief function was to sit on whatever court martial might present itself, an unglamourous duty indeed and hardly one for which they would have signed on. The duty with the artillery would continue through 1779 and lead to a bizarre incident involving Brigadier General Skinner and Lt. Col. Morris. Skinner had lost touch with the battalion while in Philadelphia and had exerted little control over them after their return. Wishing to correct that, he asked for bi-monthly states of the battalion which Morris refused, claiming he was not under Skinner’s command. Morris was eventually placed under arrest and tried for disobedience of orders, found guilty and sentenced to minor punishment. Even this, though, was remitted by Sir Henry Clinton, who had replaced Howe as Commander in Chief. When they made their way to their various posts on Long Island (Jericho, Jerusalem and finally Lloyd’s Neck), they barely numbered 150 officers and men. Thankfully for them, they were able to recruit a goodly number of Rebel deserters (and possibly a few prisoners of war) to help bolster the ranks. While at Lloyd’s Neck the battalion saw little or no action. Their main duties there were to provide guards for the various woodcutting parties and shipping. For the latter duty they served as marines on board various armed brigs and sloops of the Quarter Master General’s Department, a task performed by NJV from almost every battalion at some point during the war. The post at Lloyd’s Neck was due to be turned over to the Associated Loyalists in June of 1781. With no further need of Provincial forces there, the 2nd battalion commenced its march to Brooklyn, where they would be ferried across to Staten Island. Once there, their career as a battalion was finished, and they were drafted into the 1st and late 4th battalions, one company to the former and three to the latter. Lieut. Colonel Morris would finish the war uneventfully upon half pay, not having really commanded the battalion since 1777 due to the artillery duty and his later illness. Some of his fellow officers would join him on half pay, while Samuel Richard Wilson , disgraced by a court martial in 1780, found a home in the Royal Garrison Battalion, and Ensign LeGrange joined the 60th (Royal American) Regiment of Foot. After the war the bulk of the 2nd New Jersey Volunteers arrived at Saint John, Canada on the ship ” Duke of Richmond “. The soldiers received grants of land in a block along the St John River when the regiment was disbanded for their service of the King. Peter settled near Long Creek, Queens County, New Brunswick, Canada on July 29 1785. 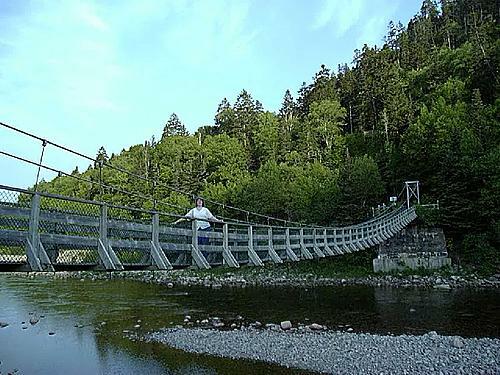 Later Peter Parlier received a grant from the British Government for land in Sussex Township, Kings County, New Brunswick, Canada on the north bank of the Big Salmon River. Thomas SKINNER’s son-in-law Abiel Peck and daughter Ruth Skinner came to New Brunswick in 1783 as Loyalists and settled in Hopewell Parish, Albert County. The Peck grant was taken up by Abiel Peck, great-great grandson of Joseph PECK who emigrated from England to Attleboro, Mass. in the year 1636. Abiel Peck was born in 1730 and married Ruth Skinner of Attleboro. He came to Cumberland at the time of the Revolution and shortly after to Shepody where he obtained a large tract of land from the government said to contain 6,000 acres. The most of this land is still owned by the Peck family. A tombstone in the old Peck burying ground bears this inscription ‘Here lies interred the body of Abiel Peck, a native of Boston, and one of the first settlers of this place, who, on the 16th of Dec., 1802, unfortunately perished in a boat, in the 73rd year of his age, leaving upwards of three score descendants to lament his melancholy fate.’ During his life the country was a comaparitive wilderness with no roads nor means of communication with the different settlements along the shore, except by water. It was upon one of these occasions, while attempting to cross the Bay from Dorchester to his own place in an open boat, that he lost his life. The boat was picked up in a cove near the Joggin, now known as Peck’s Cove. The elder Peck had eleven children. One of these, Rachel Peck, married Thomas Calhoun, grandfather of George Calhoun, now Registrar of Deeds for Albert Co. The grant was for the most part divided among his immediate family, the last side of the grant, when he had first settled himself, being given to his son Abiel. The next lot, the only one that went outside of the family, was sold to David Hoar from Colchester, N.S. The next farms were occupied by his sons Elisha Peck and Thomas Peck and his sons-in-law, Nicholas Pearson, John Edgett, Oliver Stiles and Joel Edgett. Nathaniel PARKS (1738-1818) was Alex’s 6th Great Grandfather; one of 128 in this generation of the Miller line. While we had 15 ancestral families who immigrated to and from Canada, the Parks were the only clan who were actually resettled loyalists. When I was growing up, I thought all our American/Canadian/American ancestors were loyalists, but most just went to Canada for an opportunity. See my post New England Planters in New Brunswick. Nathaniel and his son Joseph fought in South Carolina against some other of our ancestors. Almost all our ancestors are northerners, but we do have one group of Scotch/Irish Presbyterian Seceder ancestors who immigrated to Ninety-Six District, later Abbeville County, and Chester County South Carolina in the late 1700′s, just in time for the Revolutionary War. Our branch followed their minister Alex. Porter to Preble County, Ohio in the early 1800′s, supposedly to avoid contact with the institution of slavery, but before they left, the second generation fought in the Revolution. For more details, see my post Carolina in the Revolution. Nathaniel Parks was a sergeant in Captain Thatcher’s company of the 3rd Battalion of the New Jersey Volunteers, which was commanded by Lt. Col. Isaac Allen. (The battalion was redesignated as the 2nd Battalion after a regimental reorganization in 1781.) This battalion served in the New Jersey/New York area until it was ordered south to join in the Southern Campaign. Col. Allen’s battalion served with distinction at the siege of Fort Ninety Six, South Carolina, and later participated in the bloody battle of Eutaw Springs, SC. Nathaniel’s eldest son, Joseph, served in the same outfit as his father and attained the rank of Corporal. For his service he was granted 200 acres in Sunbury County, New Brunswick, on 24 Feb 1785. Along with his father, Joseph was one of the 73 participants in the four acre St. John River island rights grant. Before the War – Nathaniel Parks was found living on a 50 acre plantation in Kingwood Township, Hunterdon County, New Jersey with his father Jonah Parks who also had 50 acres. It is quite possible the children were all born there. 1760 – Nathaniel Parkes married Elizabeth Perlier/Parlee. 1767 – Nathaniel and Elizabeth living in West Jersy. Jonathan’s petition for land states he was born in West Jersey. 1778 – Nathanile Parkes joined 2d NJ Vol., as a Sargent. Joseph Parkes, eldest son of Nathaniel Parkes joins the same regiment on the same day. 6 June 1778 – Nathaniel Parks was enlisted by Captain Peter Campbell for his company in the 3rd Battalion, New Jersey Volunteers (known as Skinners Greens) on Joseph Parks enlisted as a sergeant in the same company and battalion and on the same date, except that he was enlisted by Lieutenant Bartholomew Thatcher. Both Campbell and Thatcher were from Hunterdon County, New Jersey and the dates of enlistment of the men in their company suggest that the men were enlisted during the British march from Philadelphia to Sandy Hook. 1778 – Sargent, Capt. Bartholomew Thatcher’s Co., 3rd NJV commanded by Lt. Col. Isaac Allen, Staten Island. In the muster of 31 Aug 1778 however, Nathaniel Parks is listed as the sergeant and Joseph Parks as a private, in now Captain Bartholomew Thatcher’s Company. This was the same company as before, except Peter Campbell did not have the command, as there was much confusion over his eligibility for rank. Oct 1778. Sargent, Capt. Bartholomew Thatcher’s Co., 3rd NJV commanded by Lt. Col. Isaac Allen, Staten Island.. Staten Island. 29 Dec 1778 – Both Parks sailed with the expedition to take Savannah, Georgia They subsequently took part in the Franco- American Siege of that city in Sep/Oct 1779. 29 Nov 1779 – They were both listed as sick in quarters, Joseph now promoted to corporal, both still serving in the same company and battalion. Sargent, Capt. Bartholomew Thatcher’s Co., 3rd NJV commanded by Lt. Col. Isaac Allen, Staten Island.. Savahnah. Both Parks continued in this situation through 1780 and into 1781. July 1780 – The battalion march in from Savannah to Augusta, Georgia, and shortly thereafter to Ninety Six, South Carolina. At Ninety Six there were numerous small expeditions and skirmishes, which they may have taken part in. Ironically, another of our ancestors, James McCAW lived in the Ninety Six area and fought for the American side in the South Carolina campaign, see his page for an account of the battles. May and Jun 1781 – Nathaniel and Joseph took part in the Siege of Ninety Six by the Rebel forces under [our possible relative] General Nathanael GREENE , and the immediate evacuation of that post after the lifting of that event. 8 Sep 1781 – They also took part in the very bloody Battle of Eutaw Springs, South Carolina,. Though half the British forces were killed, wounded or captured, the Parks survived apparently unscathed. At this time they were serving in the same company but the battalion had just been renumbered to the 2nd. This was due to the “old” 2nd battalion being under strength and drafted into the 1st and late 4th battalions. 25 Oct – 24 Dec 1781. Sargent, Capt. Bartholomew Thatcher’s Co., 3rd NJV commanded by Lt. Col. Isaac Allen, Staten Island.. Charlestown. 25 Apr – 24 Jun 1782. 2nd NJV. Capt. Bartholomew Thatchers Co. The two Parks were in their same situation, company and battalion at Charlestown in the April 1782 muster. They would continue there until the city was evacuated by the British in Dec 1782, when they sailed back to the British garrison at New York. Joseph Parks was sent with an advance party of the battalion to Nova Scotia with the fleet in the Spring of 1783. There he remained until joined by Nathaniel and the rest of the battalion that did not take their discharge at New York. 24 Jun – 27 Aug 1783. 2nd NJV. Commanded by Major Robert Drummond. Sick in quarters. 25 Aug – 24 Oct 1783. 2nd NJV. Commanded by Lt. Col. Isaac Allen. 10 Oct 1783 – The battalion was disbanded and they were discharged on that day. 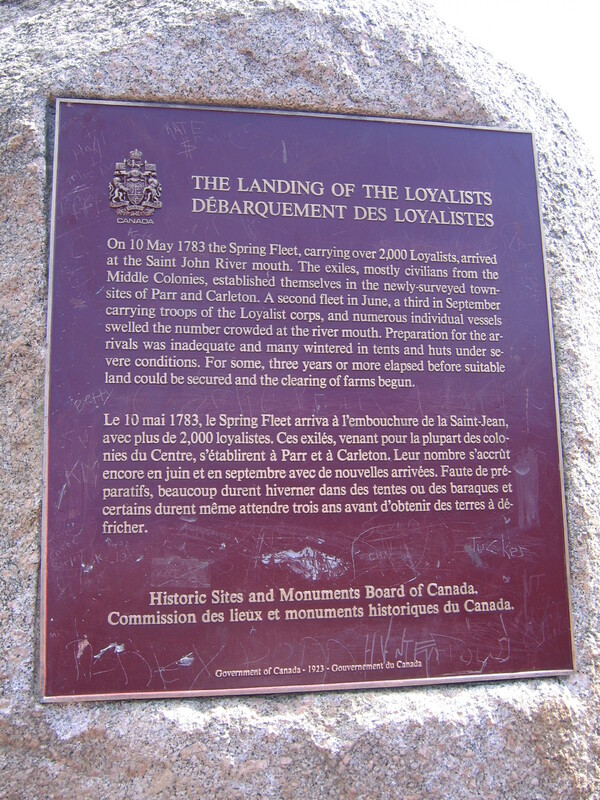 A Plaque that represents the Landing of the Loyalists which is at the mouth of the St John River in St John New Brunswick. At the time of the landing this area was known as Nova Scotia. Oct 1783 – Came to Canada on ship, ‘Duke of Richmond’. Parks, Nathaniel Source: LLC w: Elizabeth Parlee. Child: John, Jonathan, David, Mary, Nathan, Sarah, Rachel. Fr: New Jersey ? Stl: St. Martins, NB, CA Reg: Sargent in 2nd, NJ Volun. The N.J. Volunteers arrived in Parrtown in Oct 1783 aboard the 865 ton warship Duke of Richmond, captained by Richard Davis. 14 Jul 1784. – Both are on the battalion land grant list for King’s County, New Brunswick. 21 Jul 1784 – Grant #113, Kingsclear, Sunbury Township, Block 2 (for NJV). Parks, Nathaniel: 1 man, 1 woman, 6 children over 10, 1 under 10. 24 Feb 1785 – Nathaniel received a grant of 600 acres in Sunbury County, NB on He was also one of 73 individuals who were granted four acres, designated as “Island Rights”, on an island in the St. John River, NB. This grant was dated 08 Aug 1789. I believe the island in question is in the vicinity of Frederickton. 1 Feb 1788 – Petition #282, land purchased from William Mills lying between Thomas Nay and Phillis Creek. 3 Aug 1789 – Grant #201, islands in Saint John River, Fredericton. Grant recalled and regranted 1 Feb 1793. 23 Oct 1790 – purchased lot #10, Dibbles Survey, 3rd range, Queens County. Witnessed by David Parke. 4 Oct 1799 – Grant recalled and regranted. 9 Jan 1802 – sale of lot #10 Dibbles Survey, 3rd range. 26 Feb 1823 – Named in petition #1121, John MacDonald, regarding land on road to Belleisle from Washademoak. 1778 – Nathaniel Parkes joined 2d NJ Vol., as a Sargent. Joseph Parkes (age 18), eldest son of Nathaniel Parkes joins the same regiment on the same day. 3rd Battalion, New Jersey Volunteers (known as Skinners Greens) . Joseph Parks enlisted as a sergeant in the same company and battalion and on the same date, except that he was enlisted by Lieutenant Bartholomew Thatcher. Both Campbell and Thatcher were from Hunterdon County, New Jersey and the dates of enlistment of the men in their company suggest that the men were enlisted during the British march from Philadelphia to Sandy Hook. In the muster of Aug 31, 1778 however, Nathaniel Parks is listed as the sergeant and Joseph Parks as a private, in now Captain Bartholomew Thatcher’s Company. Oct 1778 – Joseph Parks participated in the successful raids on Egg Harbor, New Jersey under Captain Patrick Ferguson and the subsequent surprise of Pulaski’s Legion. Both Parks sailed with the expedition to take Savannah, Georgia, which was effected on 29 Dec 1778. They subsequently took part in the Franco- American Siege of that city in Sep/Oct 1779. They were both listed as sick in quarters on Nov 29, 1779, Joseph now promoted to corporal, both still serving in the same company and battalion. Both Parks continued in this situation through 1780 and into 1781. During that period the battalion march in July of 1780 from Savannah to Augusta, Georgia, and shortly thereafter to Ninety Six, South Carolina. At Ninety Six there were numerous small expeditions and skirmishes, which they may have taken part in. Ironically, another of our ancestors, James McCAW lived in the Ninety Six area and fought for the American side in the South Carolina campaign, see his page for an account of the battles. Nathaniel and Joseph took part in the Siege of Ninety Six by the Rebel forces under [our possible relative] General Nathanael GREENE through May and June of 1781, and the immediate evacuation of that post after the lifting of that event. They also took part in the very bloody Battle of Eutaw Springs, South Carolina, on 8 Sep 1781, surviving apparently unscathed. At this time they were serving in the same company but the battalion had just been renumbered to the 2nd. This was due to the “old” 2nd battalion being under strength and drafted into the 1st and late 4th battalions. did not take their discharge at New York. The battalion was disbanded on 10 Oct 1783 and they were discharged on that day. Both are on the battalion land grant list for King’s County, New Brunswick on 14 Jul 1784. Along with his father, Joseph was one of the 73 participants in the four acre St. John River island rights grant. Nothing more about Joseph has been published. Perhaps he died soon after. Nathaniel PARK’S son-in-law Josiah Foster was born 11 Jun 1758 in Elizabeth, New Jersey (this may be a baptism as he is given as b. in St. John’s Church). His parents were Ebenezer Foster (b. 1731 Woodbridge, New Jersey – d. 10 Dec 1787 Kings, New Brunswick) and Mary Beach (b. 1729). He married Sarah Park in Mill Cove, Queens County, New Brunswick in 1783 or shortly before as Sarah’s 1838 petition says she came to NB with her husband . Josiah died 9 Nov 1833 in Waterborough Parish, Queens, New Brunswick, Canada.. Owned lots 3,4,5 Mill Cove, Parish of Waterborough, Queens Co.
Josiah later received three lots of land on the Grand Lake, very near to where some of the Parke family settled. This property had a nice stream running through it, so Josiah built the firs saw mill in the area and the village became known as ‘Mill Cove‘. The saw mill later burned and then Josiah built a grist mill on the same site. 17 Jan 1838 – Petition of Sarah Foster, widow of the late Josiah Foster who ???? with Revolutionary War pray my for Legislation aid. Discharge and certificate of character enclosed. That your Petitioner is the widow of Corporal Josiah Foster who served for the term of the Seven Years in the 2 Batt NJ Volunteers during the American Rebellion as by reference to the annexed discharge will more fully appear that your Petitioner came to this Province with her Late husband with the Loyalists, that she had reared a family of nine children, that she is now upwards of seventy four years of age and is living on the affectionate bounty of one of her sons. She therefore humbly trusts that the liberality of the Legislature will be extended to her that may be afforded to ???? in her situation and as in duty bound with every way. Sarah Foster. X for her mark. Nathaniel PARKS’ son-in-law Henry (Hendrick) Belyea was born 1766 in Cortland Manor, Westchester, New York. His parents were Hendrick Belyea and Engeltje Storm. He married Mary Parks about 1799 in Oromocto, York, New Brunswick. Henry died 1851 in Greenwich Parish, New Brunswick. Bilyea, Belyea, Bulyea are just three of the family names of descendants of Louis Boulier (born 1672 in Saintonge, France), a French Huguenot who fled religious persecution in France and ended up becoming part of the early Dutch community in what is now New York. We know very little about Louis, other than that he may have lived in the Netherlands before coming to North America. Henry’s grandfather, father and brothers were tenant farmers at Philipsburg Manor in Tarrytown NY. Philipsburg Manor is open to tourists today. Henry and his four brothers served with the British Army during the American Revolution. One of them was taken prisoner. The family lost all of its property and farms in New York because they sided with the losing forces, so the British paid to resettle them in Canada. He arrived on April 26, 1783, with a fleet of twenty ships carried 7,000 Loyalists from New York City to Nova Scotia. A legacy of the family lives on in New Brunswick in the form of “Belyea’s Cove” [covered with ice in this Google Maps Satellite View]. in the Saint John River Valley on Washademoak Lake. There is also a Belyeas Point in NB. Belyea’s Point Lighthouse, an 11 metre tall landfall lighthouse located along the Saint John River, near the community of Morrisdale, was built in 1881. Henry owned land in Parish of Greenwich, Kings Co.
Nathaniel PARKS’ son-in-law Silas Titus was born 1765 in New York. His parents were Benjamin Titus and Ruth Bryan. He married Rachel Parks 27 Dec 1794 at the Anglican Church, Gagetown, New Brunswick. Silas died in 1817 in New Brunswick, Canada. When the Loyalists drew lots in 1784, Silas Titus received 100 acres of land at Lorneville, Saint John County, but he did not settle on his grant and it reverted to the government. Instead he followed his family to Queens County and in 1794 he married Rachel Parks at St. John’s Anglican Church, Gagetown. Early in 1794, Silas Titus and Thomas Creighton were sued by Reuben Williams for an unpaid debt of £10, and appears to have lost the suit. Shortly thereafter Silas Titus sold Lot 25 on Greater Musquash Island, which belonged to his father, probably to pay his debt. After his father went to Canada, in 1802 Silas Titus filed a petition for Lot 8 on the southeast side of the Washademoak Lake, but because the government was not issuing grants during that period, the petition stalled. It is likely that Silas and Rachel Titus lived during the early years of their marriage in proximity to her family near Fredericton. Titus appeared in court records again in 1813, when he was sued by Alexander Nevers and Ezekial Sloot of Fredericton for a promise of £22. Jonas DeLANGE’s grandchildren Johannes and Nicholas Emigh were Loyalist Soldiers relocated to Canada. Johannes Emigh was a Loyalist and served in the Revolutionary War on the British side. John Emigh, also seen as John Amey, was born in 1747 in Dutchess Co, New York, and died in Ontario, Canada. He married Evah Stover, daughter of Jacob. Evah was born in 1751. John changed his name to Amey at some point. Nicholas Emigh was born 1 Dec 1748 in Dutchess Co, New York. He married Margaret Stover. Margaret was born in 1749 in Dutchess Co, New York. Nicholas served in the Revolutionary War (Loyalist). Robert Willemze’s grandson Abraham Beselie was a scout for Gen. Burgoyne’s troops in the Hudson Valley. At the time that the British troops were escaping or surrendering in the vicinity of Saratoga, Abraham contracted small pox and died. Several Philipsburgh Beselies moved to Brooklyn. On 15 July 1783 Abraham’s wife Catherine fled to New York City and on Sep 24, 1783 embarked for Annapolis, Nova Scotia, with two of her sons, Francis and William, on The Peggy mastered by Abraham’s brother, James. Elizabeth’s claim for assistance was rejected by the Crown. The hardships in Annapolis were more than she could endure. She returned to New York, accompanied by Francis and William, on the vessel “Peggy“, again mastered by James Beselie. They settled in Brooklyn to rebuild their lives, living, it appears from the 1790 census, in the household of her son, William and his wife, no children. The 1800 census shows William (under 45), and suggests his wife and mother (both over 46), a daughter and a son both under ten. The 1810 census indicates the absence of William and his mother, but his widow and two daughters are listed. Zebulon ESTEY’s son-in-law David Currie was born 29 Apr 1767 in Peekskill, New York. Curry can be spelled Currie, Currey, Corey, or Corry. His parents were Joshua Currey and Eunice Travis David married Dolly Estey 9 Jan 1791 Gagetown Anglican Church By Rev. Richard Clarke. His nephew Joshua married Dolly’s sister Phoebe. He left Peekskill with his loyalist parents, sailing to Gagetown in 1783. David died 12 Aug 1827 in Upper Gagetown, New Brunswick, Canada. David and Dorothy took up their abode in Canning, and God prospered them exceedingly. They owned nearly two thousand acres of land on both sides of the river. There were born to them ten sons and two daughters. The fifth son, whose name was John, and who was born in 1788, married Ann Upton and had nine children. He carried on a large tanning business and was quite wealthy. He died in 1876. His brother George is the only surviving member of the family (1897) and he has lived to see seven generations, both ancestors and descendants. Richard ESTEY II’s son-in-law George Adkin Hartley was born 1759 in Newcastle, Northumberland, England or Canterbury, Kent, England, He married Abigail Estey in Sunbury County in 21 Apr 1788, but moved to Woodstock, Carleton County. George died 2 Sep 1812 in Burton Parish, Sunbury County, New Brunswick. Abigail lived for 32 more years. 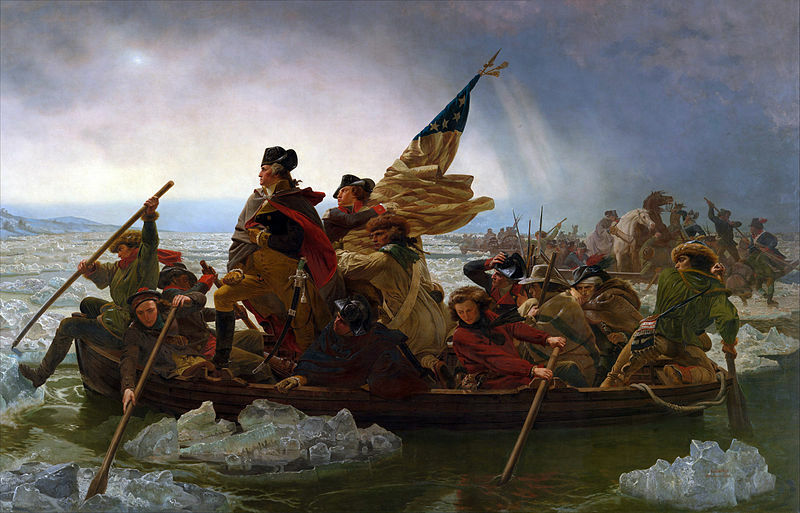 George was a Sergeant in the King`s American Regiment. George was wounded several times while fighting as a Soldier in King George’s Guards during American Revolution. Granted Regimental land in Canterbury Parish, York County, New Brunswick, Canada. The Regiment was raised in New York in December, 1776 by Colonel Edmund Fanning as the Associated Refugees. This one regiment served in six major campaigns across the length of the eastern seaboard. They fought in some of the bloodiest battles of the war, ending their service by being placed on the regular British Establishment, an honor bestowed on but a handful of Loyalist units. It served in the attacks on Fort Clinton and Fort Montgomery. It took part in relief of Newport, raids in Virginia and operations in Georgia and East Florida. It was taken into the American Establishment on March 7, 1781 as the 4th American Regiment. It was taken into the British Establishment on December 25, 1782, possibly as the 110th Regiment of Foot and disbanded in Canada in 1783. This entry was posted in History, Immigrant - North America, Storied, Veteran. Bookmark the permalink.